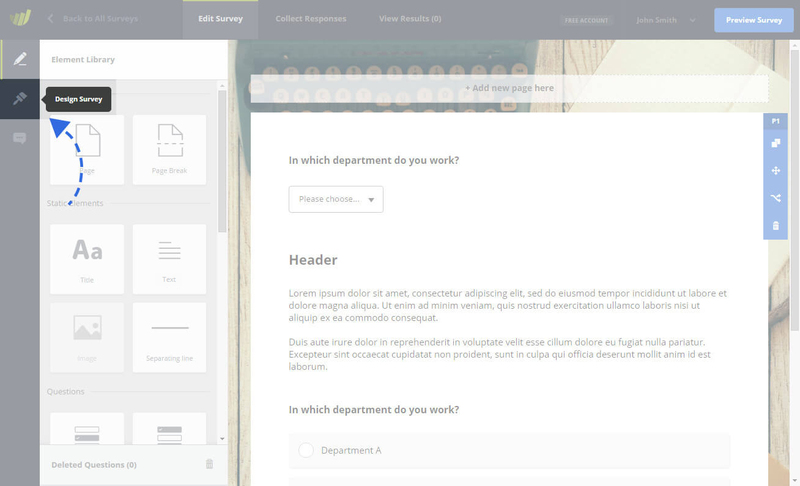 A Survey Theme will allow you to change the style of your survey. The left side panel contains all of the themes that are available to you. Click on any theme to see a preview. If the theme you are previewing is the one you want to use, then click on the “Apply” button. Clicking the “Apply Button” will apply the theme to your survey immediately. You can open the preview of your online survey (top right button) to see the chosen theme in action. Did you know that you can create custom themes? You can find out more by clicking here.